Stilly Brook Farm was originally homesteaded by the pioneer Family in the year 1880’s. The current barn was built next to the historic channel of Stillagaumish River in the 1920’s by an old Swedish barn builder. It still retains its magnificent original cedar beams and cathedral ceiling that held up to 25 tons of hay. The farm remained active, primarily with small crops and milk cows for almost 100 years. 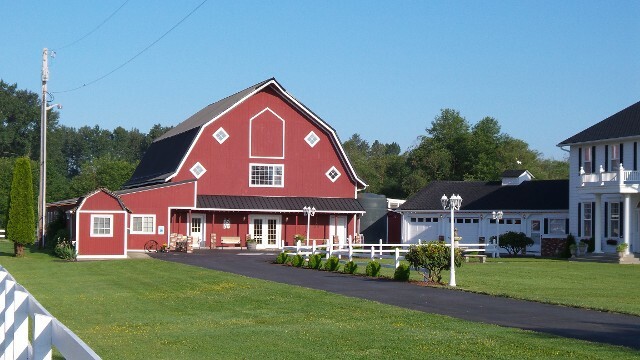 In the year 2000, Richard and Beverly Emery made a decision to turn the farm into an event center that would provide a place for weddings, church events and family gatherings. They cleaned out the ground floor and made it into a reception hall, landscaped the property into a beautiful gardens. David & Terri Lundquist are the current owners along with their 5 daughters, are now adding to what the Emery’s originally envisioned when they turned this sleepy farm into a place for others to enjoy. Once you step inside this facility, you will see that Stilly Brook Farm has attended to every detail in this beautifully renovated venue.